A quick look into the concequences of sunscreen use. This is a combination of notes I took from The Longevity Now Conference from 2013 and recommendations from other alternative health books . 2007 study at U of C concluded significant correlation between sunscreen use and skin cancer. 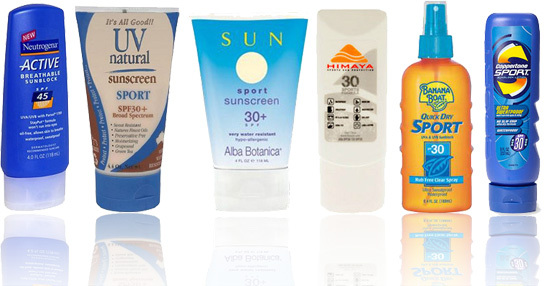 Sunscreens prevents melanin from working. Melanin helps the dna transform photons into harmless heat, .01 percent of which causes sunburn. Sunscreen prevents melatonin from doing its job and causes damage to dna indirectly through cell mutation (which causes skin cancer.) Sunburns are easier for our dna to process than dealing with the cell damage of being in the sun with sunscreens. Coconut oil is good to use on the skin before or after sunning (This stops the skin from drying out and provides some protection.) Eating foods high in antioxidants also protect white blood cells from oxidation and help repair sun damage. Free antioxidant electrons are available to us whenever we touch the earth barefoot, and these electrons naturally help shield us from excessive solar oxidation. Wearing shoes or sandals with a rubber sole will prevent this natural flow of free electrons from the ground and into your body, so it’s recommended, wherever it’s safe, to go barefoot when out in the sun. I’ve personally tried these recommendations and can vouch for how effective they are. Going out onto the beach with friends who chose to wear sunscreen, I ended up getting a nice tan with no sunburns while my friends got sunburn even with the sunscreen. I drank green smoothies really high in anti-oxidants before I went out, stayed grounded as much as I could, and when my skin got red I saw that as I sign to get under some shade, and when it was no longer red I went back into the sun. The coconut oil definitely helps to prevent skin from drying out too.